Home : Blog : What is BOTOX Resistance? And How Can I Avoid It? 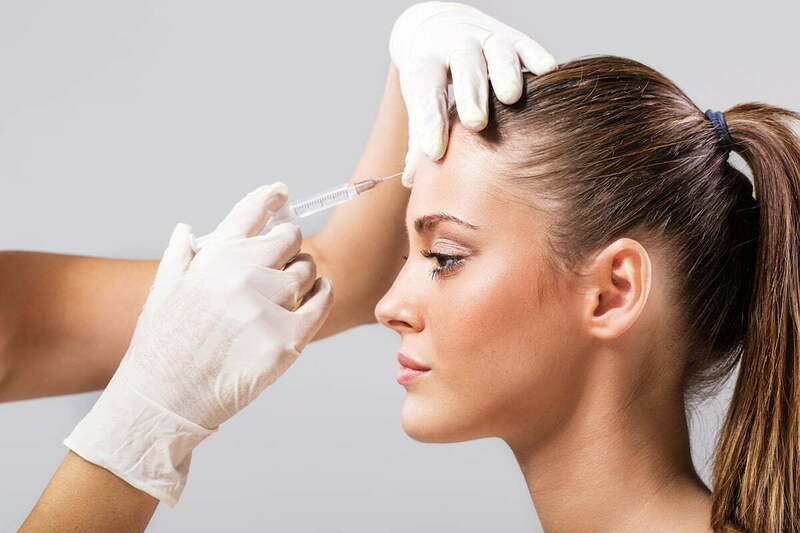 If there were such as thing as a “slam dunk” wrinkle treatment, BOTOX would probably be it. When administered by a qualified provider, it’s rare that BOTOX doesn’t achieve the desired result. Occasionally, however, BOTOX will seem to have little effect for a patient. If this has happened to you, you may have Googled the issue and come across the concept of “BOTOX resistance.” Furthermore, you may wonder, “am I immune to BOTOX?” (probably not) and “is there anything I can do about it?” (almost certainly there is). Given the topic is somewhat complex and has generated confusion, I thought it would be helpful to provide a professional medical opinion on the subject, including the most likely reasons BOTOX may not seem to work. BOTOX resistance is a situation in which a patient either has built up antibodies against the botulinum toxin, or happens to metabolize the BOTOX drug exceptionally quickly. As a result, for these patients BOTOX injections provide underwhelming results, a very short-lived effect, or no effect at all. True BOTOX resistance is fairly rare—manufacturer clinical trials showed that no more than 1.5% of patients developed any “neutralizing antibodies” to the drug. Other doctors estimate that as few as 1 patient in 10,000 has real BOTOX resistance. One of the benefits of BOTOX is that it works quickly—but not instantly. While many patients notice fewer wrinkles in as little as 48 hours, it is normal to take up to 10 days for full effects to realize. In other words, you may need to be patient. If it has been more than 2 weeks and you are still not seeing the results you expect, consult with your provider. It is far safer to undertreat with BOTOX—there’s nothing you can do about too much BOTOX besides wait for the effects to wear off—so providers will often be a little conservative the first time they work with a patient. If you’re seeing someone new, and they have a great reputation otherwise, chances are they are just taking this approach to dial in the appropriate dosage. Call them if you aren’t seeing results after a few weeks; usually the solution is simply a matter of touching up your results. If you’re a BOTOX regular, it can be easy to forget that the aging process continues “behind the scenes.” If the same dose no longer gets satisfying results, it may be that your skin has lost collagen and elastin and/or your facial fat volume has decreased. Either change can cause lines that were once only bothersome with facial expressions to deepen. In this case, more BOTOX is unlikely to be the best solution. Instead, a treatment plan of BOTOX plus injectable fillers to plump up the skin can help you maintain a youthful look and your natural facial expressions. A thorough knowledge of facial anatomy, as well as an ability to interpret a patient’s goals and apply the correct dosage based on their skin quality, are essential for anyone performing cosmetic injections. This is one reason I continue to perform injections personally for my Eugene BOTOX patients. Less experienced providers are prone to mistakes such as using the wrong dose or injecting in the incorrect point on the facial muscle, both of which can result in underwhelming results or worse. Minimize your risk by choosing an experienced provider with a proven reputation for achieving excellent BOTOX results—preferably an MD with extensive training in cosmetic medicine, such as a board certified plastic surgeon. Everyone is different. Just like some people swear by Advil for headaches and others by Motrin, some patients get better results with Dysport than BOTOX (and vice-versa), even though the two products are very similar. A provider who is experienced with both can help you determine if Dysport is a better alternative to BOTOX for you. Unfortunately, there are unethical providers out there who sell discount “Botox,” which is either heavily diluted to maximize profit margins, or isn’t real BOTOX at all. The risk of this happening is much higher at salons and other non- or quasi-medical venues, as only licensed physicians can obtain authentic BOTOX or Dysport. To avoid potentially dangerous consequences of fake or badly performed BOTOX, only let experienced, qualified medical providers at reputable medical practices perform your injections—and never trust prices that seem too good to be true. First, get in touch with your provider. A reputable injector will want to know when you are not fully satisfied with your treatment, and should work with you to ensure that you are satisfied with your results. That said, if you are wary of returning to the same provider for any reason, get a second opinion or switch to an MD injector before you invest in additional BOTOX. Bring your new provider record of your previous treatments, including when you last had BOTOX, where injections were made, and how much was given. This information will help them design a safe, effective treatment plan. If you are looking for an experienced BOTOX provider in Eugene, I invite you to schedule a consultation with me at Movassaghi Plastic Surgery. We’ll discuss your goals and concerns and address any questions you have to find the most appropriate treatment for your needs. If we agree that you are a good candidate for BOTOX, it’s usually possible to begin treatment that same day. To make an appointment, call 541-686-8700 or contact us online.